TRALEE SCHOOL TOURS in County Kerry is home to some of the best school tour packages available in Ireland. Treat yourself and your class to a trip with fantastic attractions to choose from which are great value, fun and educational. Swim in tropical temperatures in the Aqua Dome and learn what drove Tom Crean to risk his life repeatedly in the most desolate place on earth in the award-winning Antarctica exhibition. Crush the grain in Blennerville Windmill! Explore the underground passages of Crag Cave and over ground fun in Crazy Cave. Try and get a hole in one in the Aqua Golf. See the sights and hear the sounds along with the robust smells of a Medieval community at Kerry County Museum; discover priceless treasures; or dig up a skeleton and exciting replica objects in a hands-on archaeology Bone Investigators workshop. Visit the exciting Tralee Bay Wetlands and learn about local wildlife…enjoy a safari boat ride and climb to the top of the 20m viewing tower. If it’s adrenaline you crave, explore a lively mix of activities from orienteering to scavenging – or take a trip on a pedalo boat and go water zorbing at the Wetlands centre! 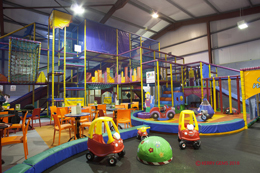 Enjoy Kerry’s largest indoor kids’ soft play facility the Playdium, where the fun never stops. Complete your trip with a visit to McDonalds where there is always a fruity alternative to French fries! Buddies Bowling offers 10 pin bowling, arcade, café and a new Skywalker Experience for groups and parties. Discover why Tralee is a premier destination for school tours, visit www.schooltourstralee.ie to watch the Tralee School Tours video. Buddies Play Centre Killarney has been a popular school tours destination for over 10 years, as their friendly family-run venue and friendly staff ensure kids can have lots of fun at the no.1 indoor soft play and party centre. Children will love roaming around the exciting play areas with its astra slide, ball cannon, soft play areas and sports pitch. Teachers can relax with a free tea or coffee in the centre’s café while their class lets off steam! School & group prices €6 per child for two hours play, with unlimited cordial drinks during their stay. Stop off in the KILLARNEY OUTLET CENTRE on your school tour to Kerry - Ireland's premier outlet centre, situated in the heart of Ireland's most popular Tourist destination, Killarney. The Centre is conveniently located in the centre of the town adjacent to the Great Southern Hotel Killarney, the Bus Station and the Railway Station. Opened in July 1999, The Killarney Outlet Centre features a wide selection of stores including Ireland's first Nike Factory Store. The Killarney Outlet Centre, which is a covered Mall, offers disabled access, on-site restaurants, ATM, and ample car parking open 7 days a week and bank holidays. A number of coach parking spaces are available for visiting school tour groups. Please call 064 6636744 email info@killarneyoutletcentre.comand visit www.killarneyoutletcentre.com. The MAXI ZOO RESPONSIBLE PET OWNERSHIP ROAD SHOW is a FREE education programme for primary schools to help educate the next generation on how to be responsible pet owners. The Maxi Zoo team spends about 40 minutes discussing pet care with each group at your school and children get to meet and greet the pets on the day! Road Shows are suitable for 4 -12 year olds and are adapted with age appropriate information for different classes, so that children learn and have fun at the same time. 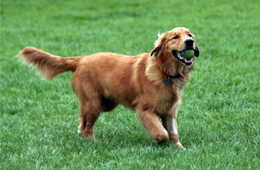 The team discuss how to care for pets; talk about animal welfare – how to be kind to animals and never harm them; introduce different animals such as rabbits and reptiles; and teach children how to act safely around dogs. Michael Collins House, Clonakilty is a museum dedicated to Michael Collins and the story of Irish independence; offering an engaging insight into the life of Michael Collins and much more. Learn all about ‘The Big Fella’ himself; the farmer’s son, the rebel, the politician, the lover and the leader. History is brought to life through guided tours, displays, audio visuals, original artefacts, information boards, activity sheets and more. Tickets are just €5 for adults and €2 for children (family tickets €12), offering an affordable, educational and entertaining experience that is suitable for all ages. Special rates are available for groups and school tours. Tours can be tailor made to suit your needs, time available, and help to tap into the school curriculum in a uniquely engaging way. Teachers/leaders go free. For more information or to request a school information pack contact 023-8858676, email info@michaelcollinshouse.ie or visit www.michaelcollinshouse.ie. CLONAKILTY PARK ADVENTURE CENTRE … The Quality Hotel & Leisure Club Clonakilty is a perfect choice for families and school groups no matter what the age, ability or occasion. Your group will bond and challenge themselves while having fun in a safe and supervised environment. Be prepared to swing, climb, jump, scream, laugh, and drop around this thrill-seeking attraction! Explore two levels of High Ropes Course, 100m Zip Line, Climbing Walls and a Power Fan jump. Suitable for all abilities; qualified instructors are on-hand if you need them in a supportive and safe environment. Why not include the latest blockbuster movie at the onsite Three Screen Cinema? All bookings can be customised to meet requirements and budgets; with food options in Lannigan’s Restaurant or refreshments while you watch a movie. Call 023 8836400 and visit www.clonadventurecentre.ie www.qualityclonakiltyhotel.com. LEAHY’S OPEN FARM near Midleton, East Cork, is educational, adventurous and seriously fun for school groups from junior infants to 6th class. Feed and pet a huge variety of animals such as hens, ducks, alpaca, and a camel. Play with the rabbits and mice; touch and maybe even hold Houdini the snake! Explore large outdoor play areas, soft indoor Playbarn, Quad and Barrel Train rides, Climbing Frame, Adventure Trail, Crazy Golf course, large maze, and a big ‘drop’ slide and pedal go-karts. History and education: experience a 100-year-old dwelling house on a working farm and farm machinery from the time. 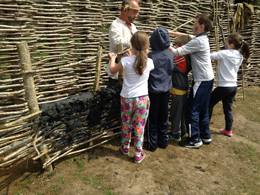 Learn about tradesmen tools, horse drawn machinery, early Irish public transport; and see the Old Irish Crannog! Hot food available in the coffee shop or bring a packed lunch along. Prices €9 per child - one adult free per 10 children. Complimentary tea & scones for free adults. Call 021 4668461 / 083 8488142 E: info@leahysopenfarm.ie | www.leahysopenfarm.ie. ZIPIT Farran Wood, Co. Cork - a high wire forest adventure park with a difference … a place where children can climb high into the treetops, swing into cargo nets and whizz down ziplines, secured in their safety harnesses. Enjoy an exhilarating and challenging outdoor activity in a natural setting, building confidence, teamwork and self-esteem. Students will feel a great sense of achievement as they conquer each activity, pushing their comfort zones in a safe environment. Big challenges or baby steps, their energetic instructors will encourage and motivate even the most nervous student, creating a lasting sense of achievement. You can extend your day and enjoy the natural forest surrounds in Farran Park which offers plenty of open space for games and trails throughout the forest. There is also a newly installed children’s playground. Cost is €15 per primary student with free participation and free tea and coffee for all teachers. ZIPIT Farran Wood welcomes school children from age 9 upwards, with circuits to suit all ages and levels of fitness. Activities last for 4 hours. For 3rd class upwards, there are three circuits for different heights, ages and abilities. 6th class groups can try out an additional blue circuit for age 12+ which is 10-15 metres above the ground with a 150 metre zipline. Children are fitted with a harness by a trained Instructor and given a safety briefing before moving at their own pace. Zipit operates to the highest EU safety standards. Instructors hold European Ropes Course Association qualifications and are first aid trained. Other Zipit locations are in Lough Key Forest Park, Co. Roscommon and Tibradden Wood, Dublin 16. Visit www.zipit.ie Facebook/zipitfa or Twitter @zipitfaor contact 051 858008 for further details on Zipit Farran Wood, Co. Cork. Get active, get connected and get outdoors! Leisureplex Cork offers an extensive range of School Tour packages to suit all ages. Choose from a range of activities including bowling and Quasar to create your perfect School Tour day. Bowl your way to the best tour ever with fantastic bowling lanes or battle it out in Quasar and see who the Top Gun is. Can’t decide on one activity? Leisureplex has it covered with a range of amazing packages which allows you to select any two activities to create the School Tour trip you want. Mid-week offers from €5 per child. Special group rate offers (Cork only) include: one activity from €5 and two activities, bowling and quasar from just €9 per child (Mon – Thurs). For more information on Leisureplex Cork group rates, special offers and to book a School Tour please call 021 4505155 or visit www.leisureplex.ie. 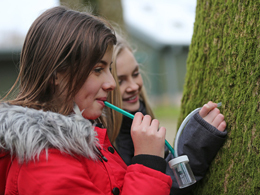 PRIMARY SCHOOL TOURS: Created to provide students with a greater appreciation of wildlife, Fota Wildlife Park courses are suitable for students from Junior Infants up to 6th class. The content is simpliﬁed or made more challenging depending on the age group, but is based on the national education syllabus requirements and can be tailored to compliment any work being completed in the classroom. GUIDED EDUCATIONAL TOURS: Add a touch of the WILD to your class visit and experience one of the Park’s fun and informative education programs! Make a connection with wildlife during an on-site tour of the park and receive an insight as to what daily life is like for its 1000+ residents! Explore the Tropical House and Animal Care Building and see many new species! Apart from being a home to an array of exotic wildlife, Fota also provides a variety of habitats to many native species! Students are introduced to woodland ecology and are provided with an opportunity to experience what the life of an ecologist involves. Pooters, pitfall traps and beating trays are used to explore a native Irish woodland and to capture and identify its many inhabitants! All tours support several discipline areas for national standards. Group meal options available! For more information or to book contact the Education Department on 021 4812678 ext. 206 or email education@fotawildlife.ie. Hold on tight and enjoy the fun under the safe supervision of the qualified and experienced Trabolgan Adventure Sports (TAS) team. Whatever type of adventure activities or educational trip you are looking for; there is a fantastic range of activities on offer for toddlers, kids and teens that will not disappoint! From hands-on adventures, birthday party entertainment ideas through to abseiling and Combat Laser, that are sure to delight all age groups. Why not visit the Bird of Prey Centre which holds a Trip Advisor Certificate of Excellence; learn about stunning birds from around the world which links to the national curriculum objectives? With packages from as little as €10.95 pp, organising your group outing has never been so reasonable and most importantly, stress free. See www.trabolgan.com for more, email groups@trabolgan.com or call 021 4661551. Trabolgan Holiday Village, Whitegate, Midleton, Cork P25HY10. Teachers planning a school tour can relax with a visit to WILTON SHOPPING CENTRE as part of their itinerary in Cork. Wilton Shopping Centre welcomes school tours all year round and offers a host of facilities that will help take the strain out of your journey. There is free ample bus parking, so parking is never as issue. Relax and unwind in the selection of coffee shops offering an array of freshly baked pastries and cakes. With over 60 shops under one roof and big brand names such as Swamp, New Look, Penneys, Claire’s Accessories, Lifestyle Sports and Game Stop, and more at Wilton Shopping Centre, there's something for everyone. So whether it is a little window shopping or somewhere to spend that hard earned pocket money, you will be spoilt for choice at Wilton Shopping Centre. Wilton Shopping Centre is open 9am - 7pm Monday to Wednesday and 9am - 9pm on Thursday and Friday. Saturday opening hours are 9am - 7pm, and Sunday /Bank Holidays from 12pm-6pm. For more information see www.wiltonshoppingcentre.ie or call 021 4546944. A visit to Ardmore Open Farm & Mini Zoo is an experience not to be missed. School tours are hugely popular in this custom-built family facility, combining an educational theme with an action packed fun day out. Children have the benefit of a full indoor three-tier play centre, zipline, soccer pitch, playground, go-karting area and sand pits. They can also get up close and personal with all the farm and zoo animals with a guided tour around the facility. 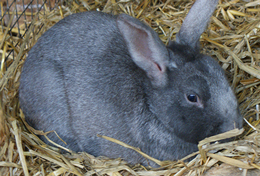 Dedicated petting times are included where children get to hold different species of small animals from rabbits to tortoises and snakes to owls. A school tour at Ardmore Open Farm & Mini Zoo is an experience groups will not forget as it offers both fun and education in a top of the range, purpose-built venue. For information or to book please e-mail info@ardmoreopenfarm.ie or call 024-87600. THE LISMORE SCHOOL TOUR ADVENTURE NEW FOR 2018! Pick and choose a full day of activities to suit your class for €15 per student in Lismore, Co. Waterford. HORRIBLE HISTORY: gruesome outdoor workshop at Ballysaggartmore Towers. WOODLAND WANDERERS: Interactive forest fun using drama to re-enact history; followed by Bug Bingo to meet creepy crawly inhabitants. PROFESSOR PUPPET’S WORKSHOP: Create design and decorate your own glove puppet. SCRIBBLE SQUAD: Giant doodle activity creating a class masterpiece to take back to your school. PUZZLE IN THE PARK: Work as a team to solve riddles and puzzles in Millennium Park. DIG-IT: Awesome archaeology in a STEM workshop for hands-on, interactive fun in the designated digging area! Activities are suitable for all ages *Horrible History 1st Class upwards. Lismore Heritage Centre has over 20 years’ experience in the education sector. Lismore Mobile Science Workshops can also visit your school to deliver a wide range of science-based, curriculum led workshops. Please call 076 1102157 E: rleddy@lismoreheritage.ie visit www.discoverlismore.com. TIPPERARY COUNTY MUSEUM welcomes school groups - guided tours with activity sheets are available from 3rd - 6th class, free of charge. Art and craft workshops based on the seasons and calendar customs, and archaeology workshops such as pottery, ogham necklaces and a dig in a box are available on request. Booking is essential – call Julia on 0761 06 5254 Email: julia.walsh@tipperarycoco.ie www.tipperarycoco.ie. School Tours at King John’s Castle Limerick: King John’s Castle in the heart of Medieval Limerick allows your students to experience 800 years of history all brought to life in our stunning exhibition. 21st Century touch-screen technology and 3D Models will connect students to tales of Siege and Warfare. Interact with costumed guides who will tell you secrets and scandals of Castle life. Meet with the Blacksmith, Moneyer, Norman Soldier and Siege Women of the time. Shannon Heritage has teamed up with GetWest www.getwest.ie at both sites to tailor activities such as water zorbing, 30ft climbing wall, foot darts, archery and more. Reservations necessary – please call 061 360788 or email: reservations@shannonheritage.com. 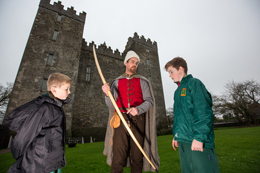 School Tours at Bunratty Castle & Folk Park: Step back in time and discover Ireland’s rich and fascinating past. 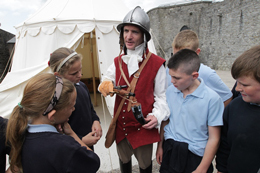 The newly revamped School Tour programme at Bunratty Castle and Folk Park allows students to sample 19th Century Ireland and participate in a series of fun and engaging workshops in addition to their general visit. Activities include water zorbing, 30ft climbing wall, foot darts, archery, 19th century baking, Fairy Village workshops and animal husbandry. Students can also avail of a designated picnic area for school tours and enjoy the new playground with Viking head playship, zip wire and an array of swings and slides. Reservations necessary – please call 061 360788 or email: reservations@shannonheritage.com. 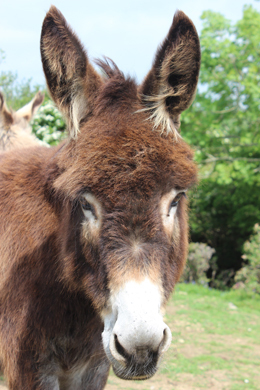 THE DONKEY SANCTUARY in Liscarroll is just 15 minutes from Mallow and home to lots of friendly donkeys. Fun school tours include donkey grooming, an interactive talk about donkey welfare, and then groups are free to walk/run/gallop around the beautiful walkways and meet the donkeys along the way. There is an enclosed seated picnic area and a warm DVD room, plus a welcoming visitor centre where light refreshments can be purchased. Free admission and parking but donations are most welcome and appreciated. Please call 022-48398 and visit www.thedonkeysanctuary.ie. BALLYHASS LAKES ACTIVITY CENTRE boasts Ireland's largest cable wakeboarding facility and Munster’s most unique "Wipe Out Style" inflatable AquaPark. Students can climb, bounce and navigate their way around the course. Starting at just €15 it is a fantastic budget option. The 40-acre site has two spring water lakes, natural rock faces, and many adventure facilities. Ballyhass is very popular with school groups of all ages as it offers Land, Water & Harnessed high activities all on one site. Team building for GAA, rugby and soccer are great for school sporting squads. All activities are conducted on site - so four different activities are easily fitted into one day, with supervision provided by qualified instructors. Unwind at the hang-out areas and shop afterwards, as the lakes make a perfect chill-out zone for school groups. Please call 022 27773 E: info@ballyhasslakes.ie or visit www.ballyhasslakes.ie | www.ballyhasswakepark.ie | www.ballyhassaquapark.ie . MUNSTER RUGBY EXPERIENCE MUSEUM at THOMOND PARK STADIUM With easy access for coaches and improved facilities, the Museum is an ideal stop on your school tour day. Located close to many attractions in the Shannon region, why not take in some sporting history as well as Irish history? Take a guided tour of the spectacular Thomond Park Stadium, from a seat in the home dressing room to a walk down the tunnel. Also included is a visit to the interactive museum and specially commissioned film showcasing the proud heritage of Munster Rugby. With ample parking and easy access to all major routes, the stadium is perfect for primary school tours!